I just heard DSCH's orchestration of Tahiti Trot today. Pretty amazing stuff that he orchestrated the thing in about 45 minutes and it is just SO Shostakovich like: the piccolo, e-flat clarinet, xylophone, muted trumpet all having a grand old time. Yes! It's great. Not sure which performance you heard, but Chailly's Jazz Album includes the Tahiti Trot, and the rest of the album is full of DSCH's colorful instrumentation. 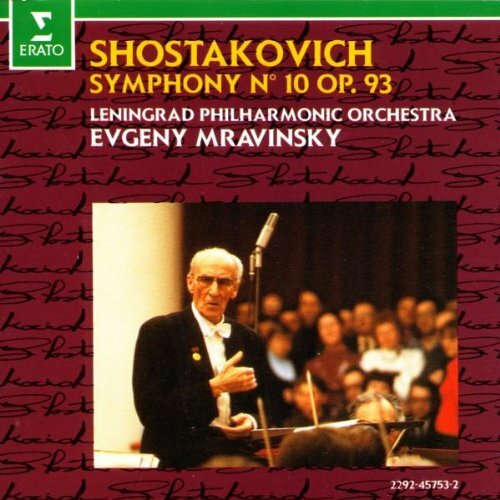 Just purchased this live performance from Mravinsky/Leningrad Phil of the 10th Symphony. Anyone familiar with it? I forgot the performers unfortunately. I thought the announcer mentioned the Moscow Chamber Players but I can find it on Google right now. Yes, although haven't heard it for a while. I recall it as a fine performance as is usually the case with Mravinsky. New England Conservatory / Hugh Wolff - Symphony No. 11 in G minor, "The Year 1905"
My favourite appearance of it on Youtube. Those young people Also, very good video editing. The battle scene and the ending are a bit fast for me, but well, I love Haitink with the Concertgebouw and compared to many recordings those scenes have a slower pace there. Young people do seem to nail this work. My favorite live performance of No. 11 was Timothy Muffit conducting the University of Texas Symphony - a blazingly intense and terrifying experience. I've since heard it maybe a dozen more times including the SFO/MTT but it was never as intense as that school performance. Sadly, it wasn't recorded. This day in 1975, Shostakovich died. And I can remember that sad day. RIP Dmitri. As a homage, I'll listen to one of his apparently more optimistic works: the Piano Concerto No. 2. Was in London last night to hear Andris Nelsons conduct Symphony No.4 with the Boston SO. It was a very polished and brilliantly played performance. My daughter, who had never heard the work, really liked it, especially the woodwind playing and the second movement. The doom-laden finale was very well realised. In the first half was Bernstein's Serenade on Plato's Symposium which I'd never heard live. I especially liked the beautiful slow movement but, as a whole, prefer the 'Jeremiah Symphony', the 'Age of Anxiety' and 'Facsimile'. Having recently acquired my final disc of the Petrenko/Liverpool symphony cycle, I'm now embarking on a playthrough of all 15 symphonies. I'll probably be able to complete it over the next three days, in seven sessions (1-3, then the rest in pairs). Does anyone have particular recommends for the Sonata No.2 in B minor, Op.61? Apart from Gilels on RCA which I already have and which is probably the reference recording. 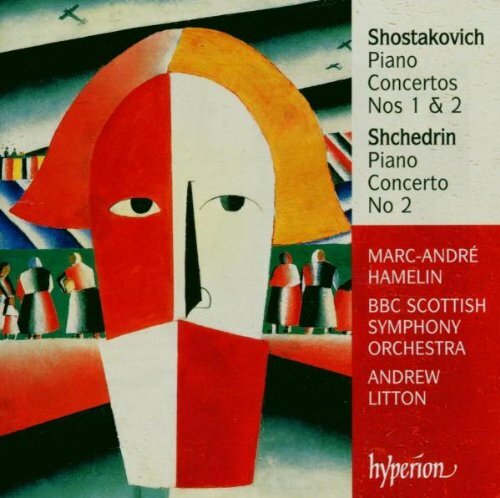 It's a piece I've been interested in for some time, especially for the magnificent closing theme and variations, one of Shostakovich's finest achievements. I like his recordings on the whole. I also like the production with a photo of the conductor on the cardboard outer sleeve and the composer, usually at an appropriate age for the works featured on the disc, at the front of the booklet. I was very happy to hear Symphony 4 live at the Proms a week ago. Well, you certainly ought to hear it, Karl. I only know the Ashkenazy recording from the Decca solo piano & chamber music box, but I'd imagine Berman, Donohoe, McLachlan, Nikolayeva, Petrushansky, and Scherbakov do a good job too.. Does anyone have particular recommends for the Sonata No.2 in B minor, Op.61? A pianist called Melvin Chen has recorded the piece, and it's a stunning interpretation. He also plays the 1st sonata, the Aphorisms and the Doll Dances on the same CD so there's plenty to dig into. Thanks for the vote of confidence—he's already shortlisted along with Berman, Lubimov (which I already have but need to revisit), Mangova, McLachlan & Laul. I also have the Ashkenazy somewhere but remember finding it a bit too detached. Probably because it's somewhat.... claustrophobic? Consistently dark & foreboding, with at times extremely stripped-down piano writing (often just one or two parts), a slow movement played at extremely soft dynamics throughout, and an obsessive concentration on diminished tetrachords looking forward to Shostakovich's later use of his nominal DSCH motive. It also sounds much easier to play than it actually is, something pianists dislike dealing with.